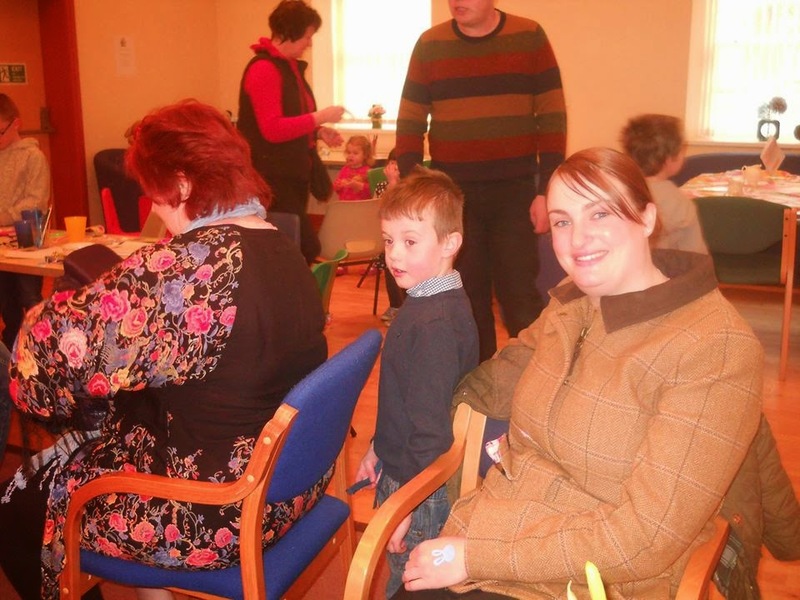 last week I was sharing information about our village market where we had a cake stall. Between us, the women of the village baked for England. This little number was the first to be sold out of - in under an hour. Karen and I thoroughly enjoyed it. One of the features about our new fundraising strategy is we keep the neighbours informed about what is happening - this is the letter Karen and I have just posted to every member of the village. 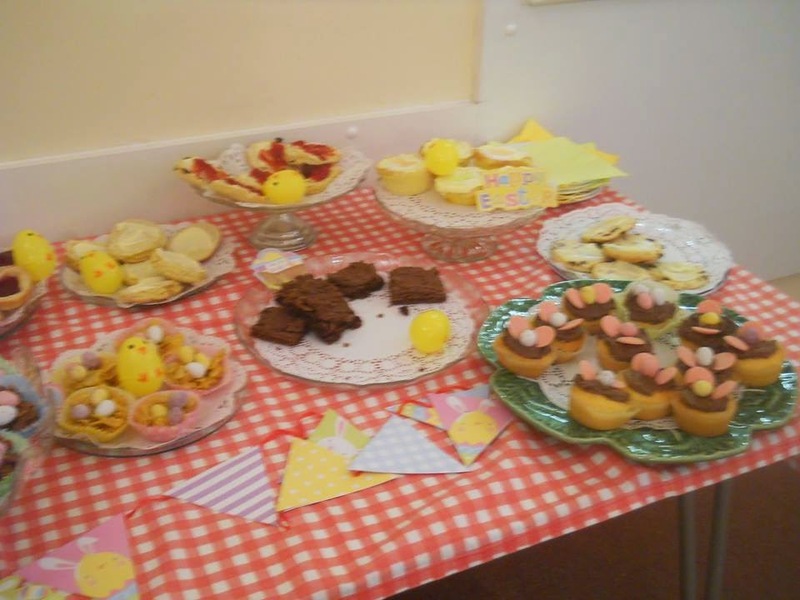 Dear friends and neighbours, a big thank you to all for the support you gave to our baking stall last Saturday. 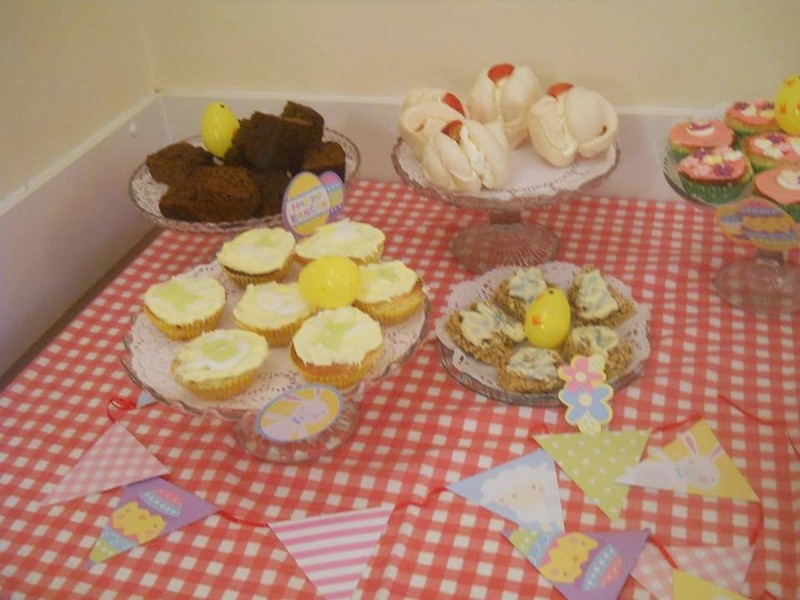 Your kind donations of ingredients, baking and buying our cakes brought in a fantastic profit of £223.41. 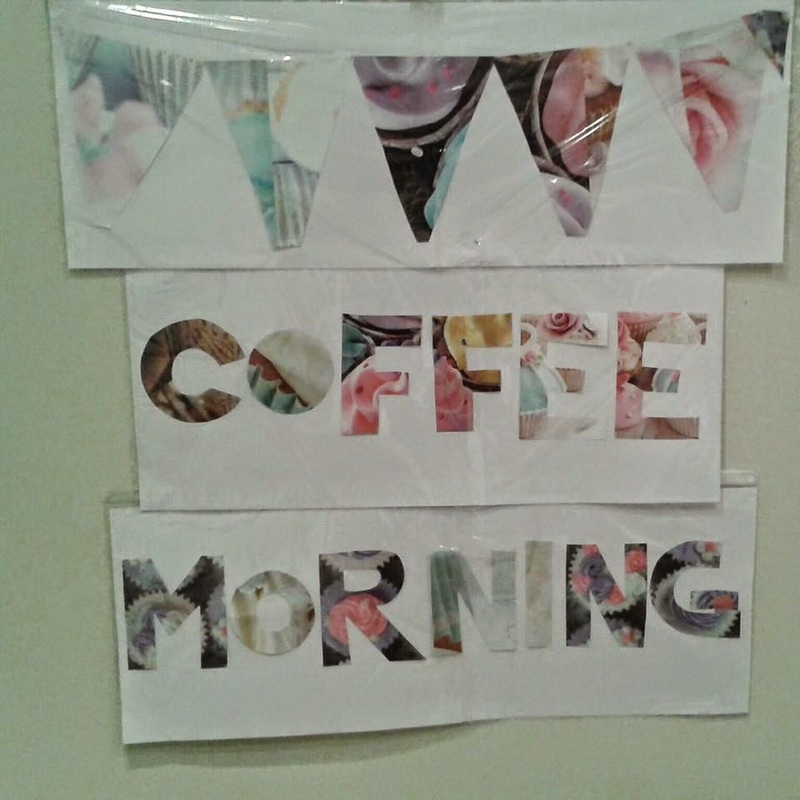 Time flies when you are having fun and before our very eyes our monthly coffee morning draws nigh, this coming Saturday, 4th April. 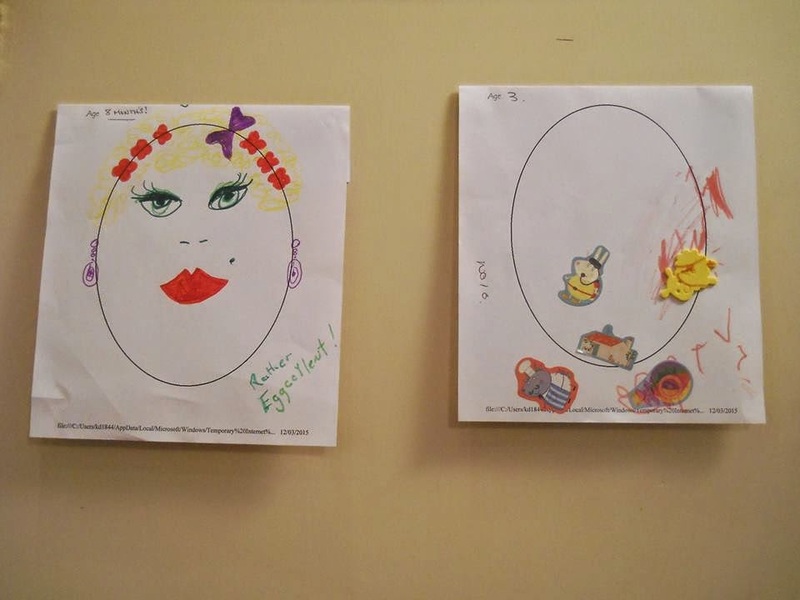 We have lots of fun activities for the kiddies, including “Hook a duck” game, colouring activities and lots more. 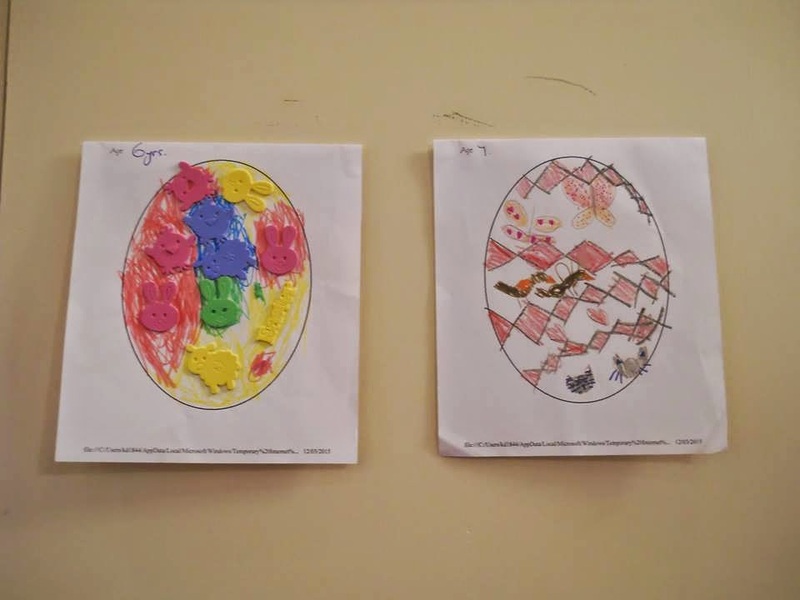 We will also be presenting certificates from our last egg colouring competition. The kettle will be on ready to provide you with cups of tea or coffee, fresh sandwiches and soup and roll is on offer too. 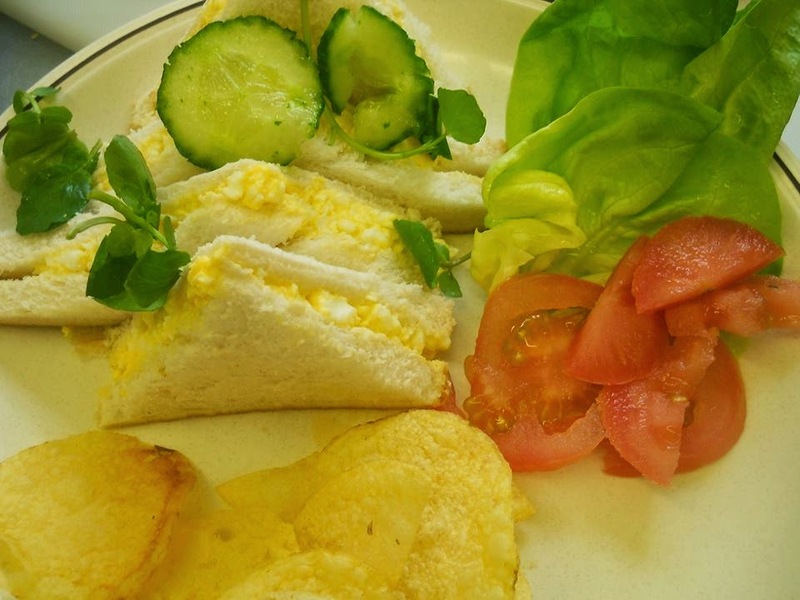 We were recently given generous donations for our village hall kitchen from the relatives of “Auntie Peggy” including a lovely Royal Worcester pie plate, so in memory of Peggy we are introducing “Peggy’s Pie Special” where each coffee morning we will have a pie of the month….April’s Pie Special will be Lemon Meringue. My L contribution to ABC Wednesday. 1. Preheat the oven to 180°C/gas mark 4/350°F. 2. Butter two 20cm / 8inch sandwich tins and line the base of each with baking parchment. 3. Put the walnut pieces and sugar into a food processor and blitz to a fine nutty powder. 4. Add the 225g/2 sticks butter, flour, 4 teaspoons espresso powder, baking powder, bicarb and eggs and process to a smooth batter. 6. Divide the mixture between the 2 lined tins and bake in the oven for 25 minutes, or until the sponge has risen and feels springy to the touch. 7. Cool the cakes in their tins on a wire rack for about 10 minutes, before turning them out onto the rack and peeling off the baking parchment. 8. When the sponges are cool, you can make the buttercream. 9. Pulse the icing sugar in the food processor until it is lump free, then add the butter and process to make a smooth icing. 10. Dissolve the instant espresso powder in 1 tablespoon boiling water and add it while still hot to the processor, pulsing to blend into the buttercream. 11. If you are doing this by hand, sieve the icing sugar and beat it into the butter with a wooden spoon. 12. Then beat in the hot coffee liquid. 13. Place 1 sponge upside down on your cake stand or serving plate. 14. Spread with about half the icing; then place on it the second sponge, right side up (i.e. so the 2 flat sides of the sponges meet in the middle) and cover the top with the remaining icing in a ramshackle swirly pattern. 15. This cake is all about old-fashioned, rustic charm, so don’t worry unduly: however the frosting goes on is fine. similarly, don’t fret about some buttercream oozing out around the middle: that’s what makes it look so inviting. 16. Gently press the walnut halves into the top of the icing all around the edge of the circle about 1cm apart. 1. Preheat the oven to 170ºC/gas mark 3/325ºF. Halve the cherries, wash them in a colander under cold water, then pat them dry, toss them in some flour and shake well to get rid of excess. 2. Cream the butter and sugar until light and fluffy. Gradually add the beaten eggs and almond essence, then gently fold in the flour and ground almonds. Fold in the cherries and then the milk and spoon the thick mixture into a lined and buttered loaf tin (23 x 13 x 7cm / 9 x 5 x 3 inches) and bake for ¾-1 hour, or until a cake-tester comes out clean. 3. As with all of these sorts of cakes, leave in the tin on a wire rack until completely cooled. Cream together your butter and sugar until light & fluffy. Mix in your eggs, followed by your flour, almonds, baking powder, cocoa, and milk. You should be left with a lovely smooth batter. Roughly chop your chocolate bars and add to the batter. Stir it around. If you’re using a metal tin, grease it in a good smear of butter. If you’re using a silicone one (clever you) don’t bother. Pour the batter into your tin. Pop into the middle of your oven and close the door. Cooking time will vary depending on your cooker, but it should take around 45mins. When it’s done the top should be nice and shiny and it should have raised up in the middle, I take mine out when it’s still a little bit wobbly because it gives a good squidgy middle later. If you want a more sturdy cake, leave it an extra 5-10. Put it onto a wire rack to cool (still in the tin) and when it’s cold enough to handle, slide it out to chill a little more. 1. Heat oven to 180C/fan 160C/gas 4. Butter and line the base of a 1.2-litre loaf tin. Put all the cake ingredients into a bowl and beat with a hand whisk or wooden spoon for 3-5 mins, until light and fluffy. Spoon the mix into the tin and level the top. 2. Bake for 40-50 mins, until golden brown and firm to the touch. Meanwhile, heat the orange juice and sugar gently in a small pan, stirring until dissolved. When the cake is cooked, remove it from the oven and spoon over the orange mix. Leave to cool in the tin, then remove and cool completely on a wire rack. Pre-heat the oven to 180C/Fan 160C/Gas 4. Grease a 30x23 cm (12x9in) traybake or roasting tin, then line the base with baking parchment. Put all the ingredients for the traybake into a large bowl and beat until well blended. Turn the mixture into the prepared tin, scraping the bowl with a plastic spatula to remove all the mixture. Level the top gently with the back of the spatula. Bake in the pre-heated oven for 35–40 minutes, or until the cake has shrunk from the sides of the tin and springs back when pressed in the centre with your fingertips. Leave to cool in the tin for a few minutes then turn out, peel off the parchment and finish cooling on a wire rack. To make the icing, sift the icing sugar into a bowl, add the ginger syrup and mix until the icing is smooth and has a spreading consistency. Pour the icing over the cake, spread it gently to the edges with a small palette knife and sprinkle with the chopped stem ginger to decorate. Allow the icing to set before slicing the traybake into 15–20 pieces. Over the past week I have once again been baking for England. Well actually a baking stall for our village market on Saturday. When we did our coffee morning the big coffee walnut cake was very popular and went within minutes of being put on the table. Bearing this in mind we are making large cakes and selling by the slice. I have made all the cakes up and they are currently in the freezer, awaiting an icing session on Friday. What are favourite cakes out there? I am definitely enjoying baking, made even more satisfying by the fact my friends Dorothy and Keith had to clear the house of very close relative who died just after Christmas. 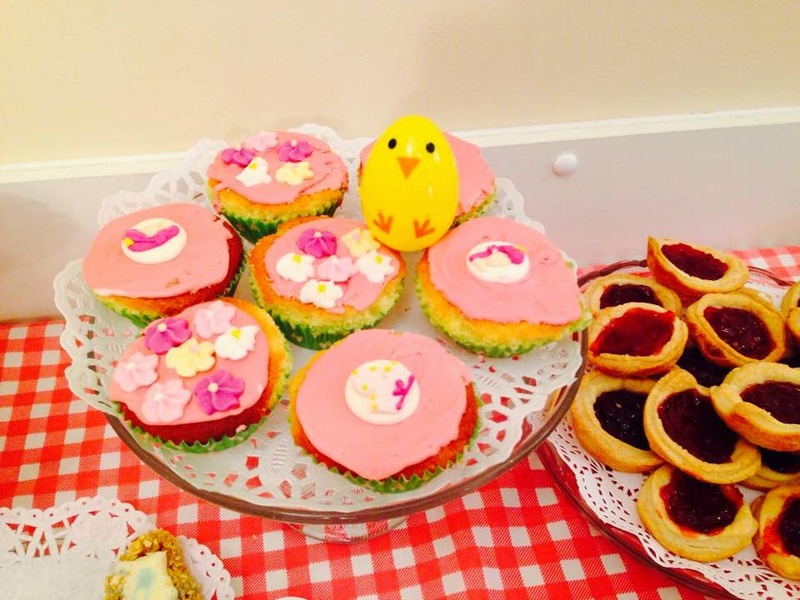 Peggy was an avid baker and was a member of the WI. I have some of her tins and dishes and an electric whisk. I would like to think that she knows her love of baking is rubbing off on me. I have been experimenting and may even do a Nigella version of the Kladdkaka cake. Must get back to the kitchen. My K contribution for ABC Wednesday. Entering our village on Saturday - to be greeted by my poster. It is amazing what you can do with an old cupcake calendar. and one outside the village hall. 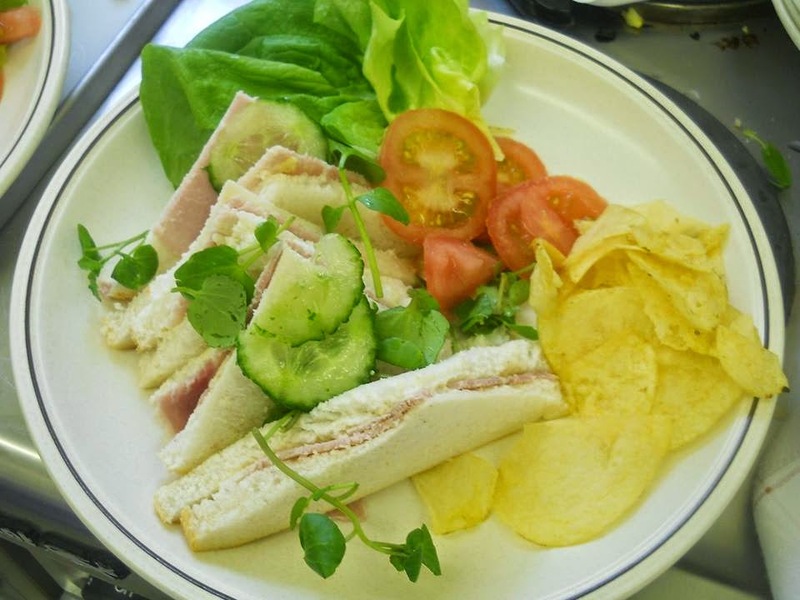 Egg mayonnaise or ham sandwiches served with salad garnish and potato crisps. Taking advice I used Warburton's bread and lurpack butter. 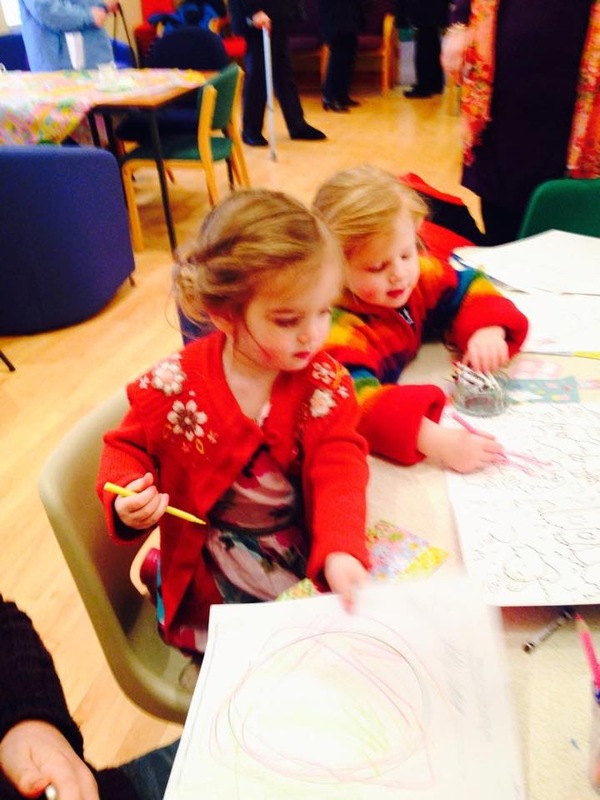 The kiddies corner was a success - competitions and colouring games. 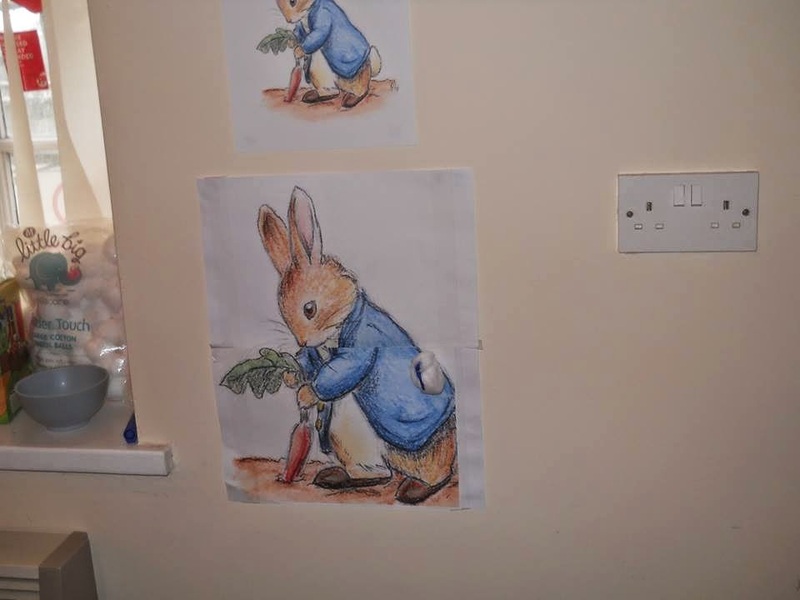 Pin the tail on Peter Rabbit. 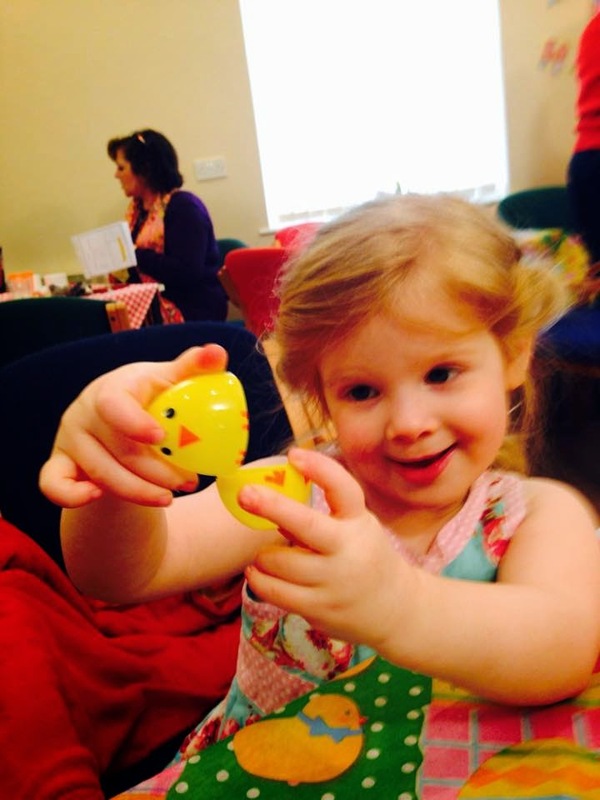 We made £258 and will be holding our next event on Saturday 28th March - Easter Market. The ladies in the village are having a baking stall......busy busy busy! For more ABC fun floow the link in my sidebar. Last Thursday I returned home around 3pm to find black feathers scattered over the back lawn. Following the death of Eva my heart sank as I feared the worse. I spotted Bev hunched up next to her companion from labour days, Mabel. On inspection I saw that she too had been attacked. Brought her into the porch and settled her in a large garden trug. Phoned the vets and got her in at 5.20. The extent of the wound was quite deep - but discussing the options - one being to put her to sleep - we decided she needed a chance. The vet stapled the wound and Bev bless her didn't complain at all. 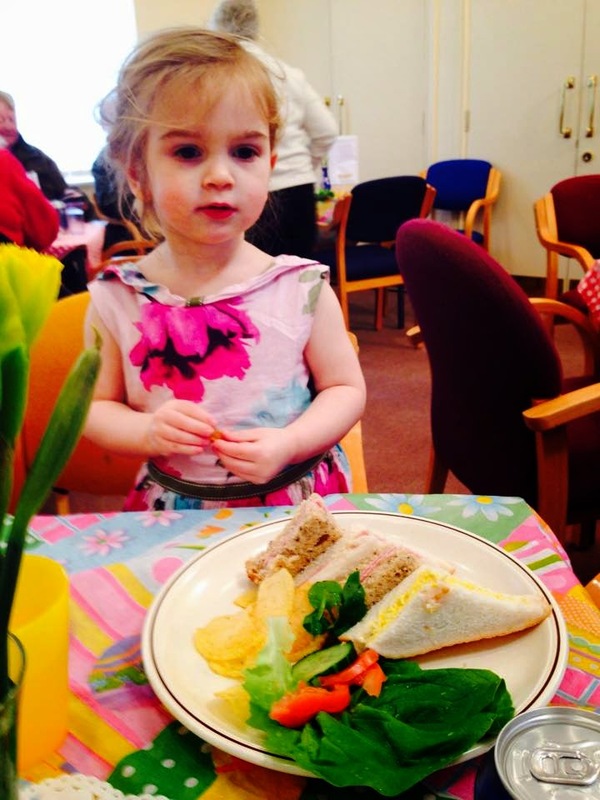 In fact she was quite chatty and toddled round the table. We knew the next 24 hours was critical. She slept the night in the trug, in the porch and on Friday after a few phone calls I was given this dog cage from the lady who we got Sadie from - she happens to be a dog breeder. She found this cage and has given it to us. It is ideal for Bev - she can walk about and lie in the sun. Every day we apply cream to her wound and will be taking her back to the vets on Thursday. Fingers crossed! Meanwhile my other 2 hens are only being allowed out for a couple of hours in the afternoon - when we are about. Today however, the sun is out so an ideal opportunity for me to let them out whilst I potter in the garden. I mentioned the Village activities not so long ago. 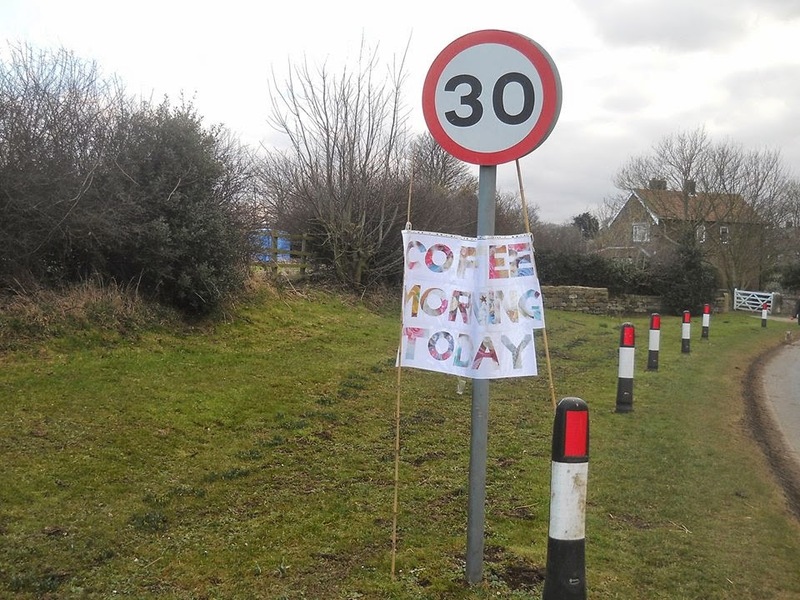 Last year a monthly coffee morning took place - the ladies who ran it have stopped doing it now. A neighbour friend and myself have decided to re-launch this monthly activity so are busy marketing and advertising as the very first one is this Saturday, 14th March. 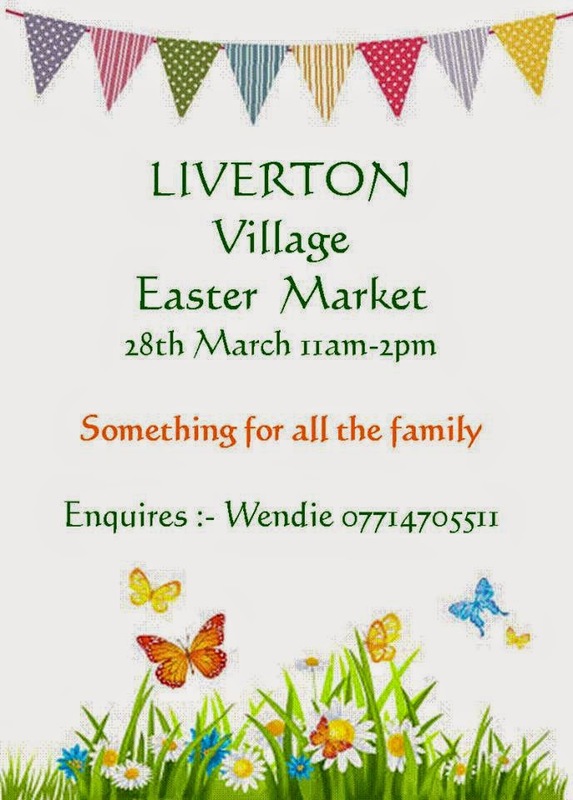 I have set up a Liverton Village page on facebook and we are generating a lot of interest. Must dash as I have more baking to do! lol! For more ABC fun follow the link at the top of my sidebar. G is for Getting There and H is for Hole of Horecum! I missed the letter G last week my laptop had been involved in a disaster (see post below) but over the course of the week I feel progress has been made and I am up and running again - getting there you might say! This landmark is on the Pickering Road. 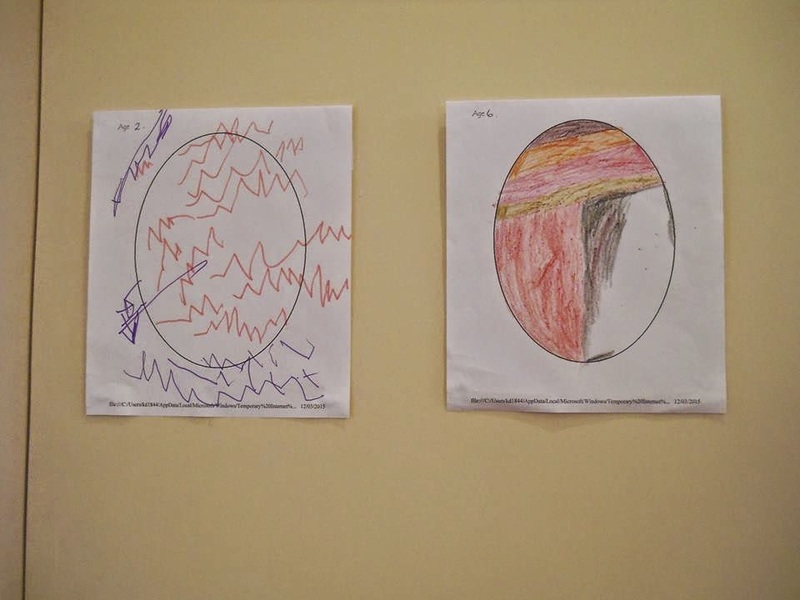 The particular photo above was taken a couple of years ago. The best time to capture the heather in all it's glory is the last Sunday of August. I used this photo some years ago when I chose 12 of my photographs to depict a year in and around our village. We have been in the village now for over 20 years and I must say how much we enjoy living here. I started to blog back in June 2006. During that time I have posted endless photographs about matters dear to my heart. 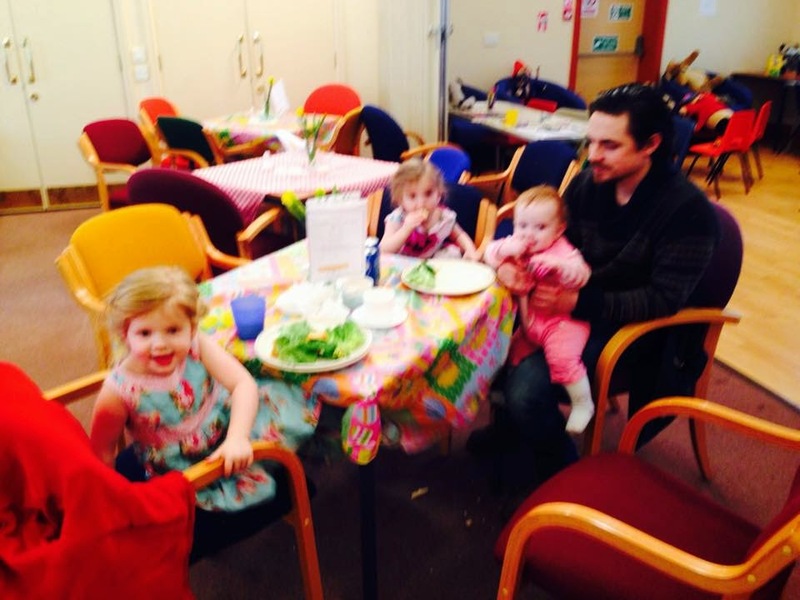 This current blog mrs nesbitt's space was the replacement to my first blog mrs nesbitt's place. I don't know what went wrong - technical issues far beyond my little brain could deal with - so I started this one and all seems to be okay. In the village we are entering a new era with a new Village Hall Management committee. Jon was elected chairman and I am a member of the committee. Whilst I have been a member in the past, we have new neighbours here and they are buzzing with ideas - so I feel very positive about the coming year. 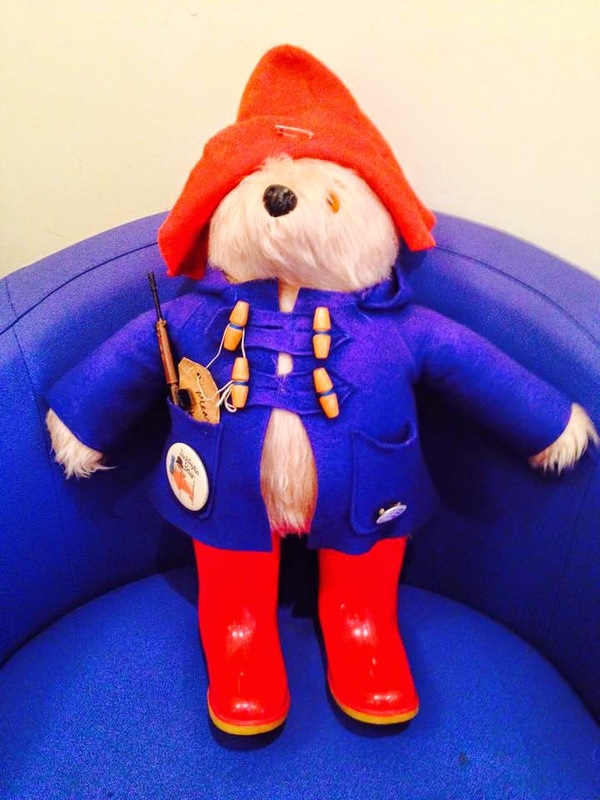 Social media has really developed over the last few years and we are embracing it in an effort to promote the village. 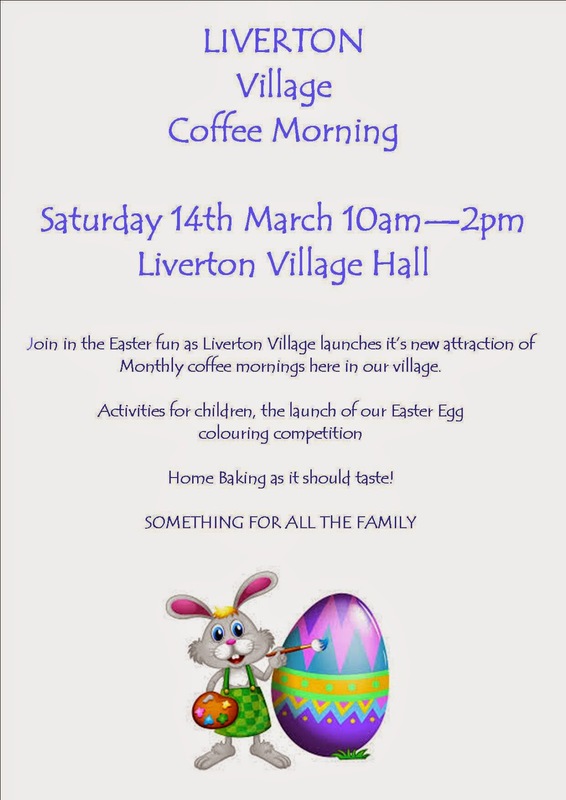 I came up with the idea of the village blog and I have also set up Liverton Village's own FB page. 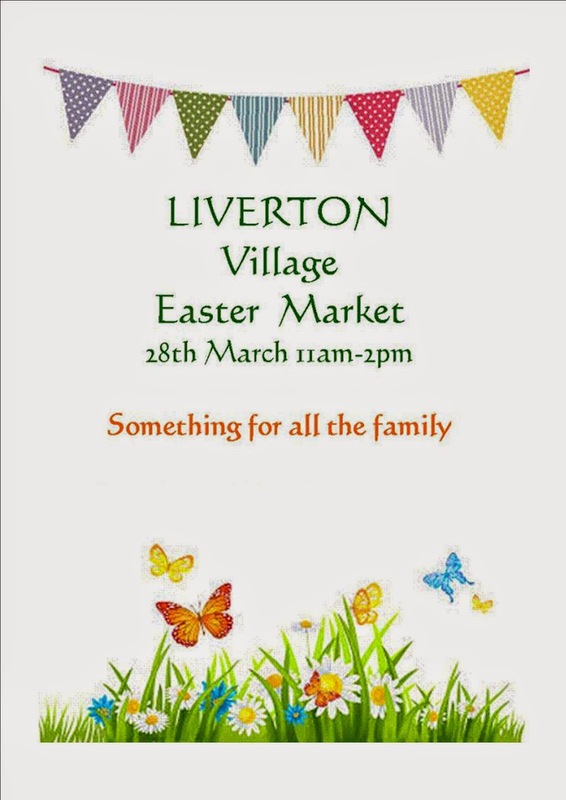 It is all in the early stages but all ready we are creating interest in our Village Spring Market. As I was composing the various posts on the Village Blog I was using the photographs from both my blogs - downloading and saving in various folders which were then so easy to upload. When I looked back there have certainly been a host of events that have happened whilst we have been here - so I am making some more folders so my photographs are organised - a first time for everything eh? 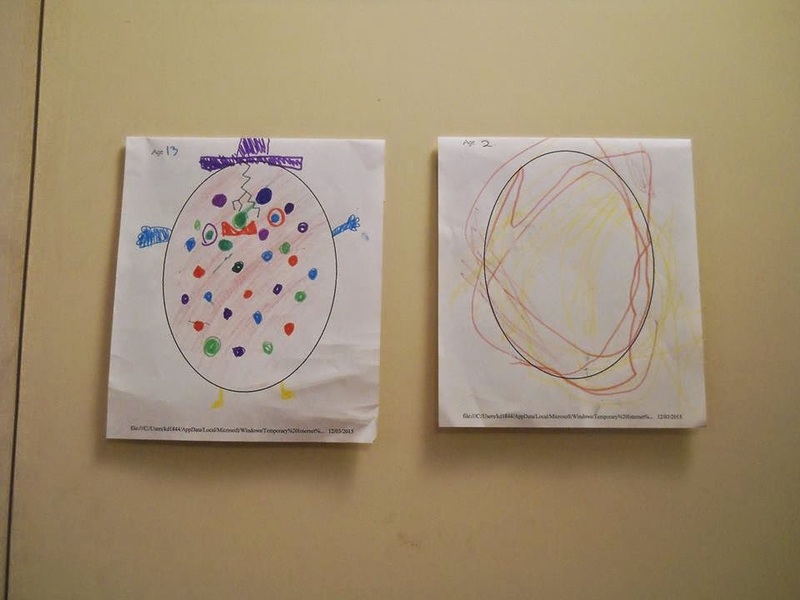 My contribution for ABC Wednesday - a fun way to connect with creative people around the blobe. Bing - Bushy tail - glass of red wine - laptop! Yes. You guessed correctly. Sadly I didn't realise at the time as I was too busy cleaning the carpet, wall and settee. The following morning when I switched on my laptop I knew something was wrong. I frantically tried to clean the keyboard but it was quite obvious the damage lie deeper within the workings. Frantic research and the laptop battery was removed and all placed in a bag of brown rice in the airing cupboard for a few days. Meanwhile I have been loaned a laptop so I am back on-line. Then there is the sad news to share of Eva. 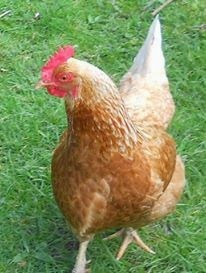 I let the hens out as normal yesterday. We were out for a couple of hours but when I went to lock up the henhouse, whilst the other 3 were inside Eva seemed hesitant and was standing by the open door. I noticed some severe damage to her back - a definite attack. I don't think it was a fox as it would have either taken her away or savaged her. I have no idea where the attack took place. I know around 3pm I had fed the hens some noodles. Only 2 hens came when I called. Mabel was inside the hut laying an egg, Bev and Olwyn were eating the noodles but there was no sign of Eva - as is often the case. 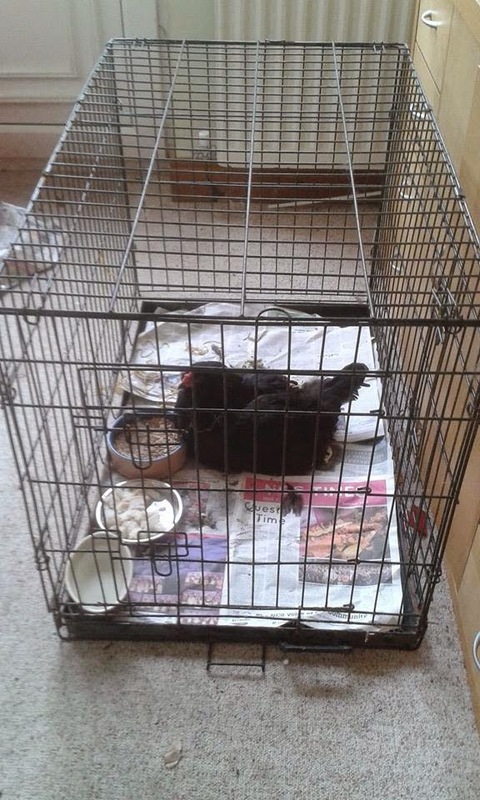 She managed to walk up the ramp to the sleeping area but I knew she would be attacked by the other hens - this is what they do when they sense weakness/injury and I knew it was a severe wound. I brought her into the kitchen and we settled her in a nice warm box. She passed away sometime between 4am and 6am as I was checking on her. It is a comfort to know that when attacked she made her way home.